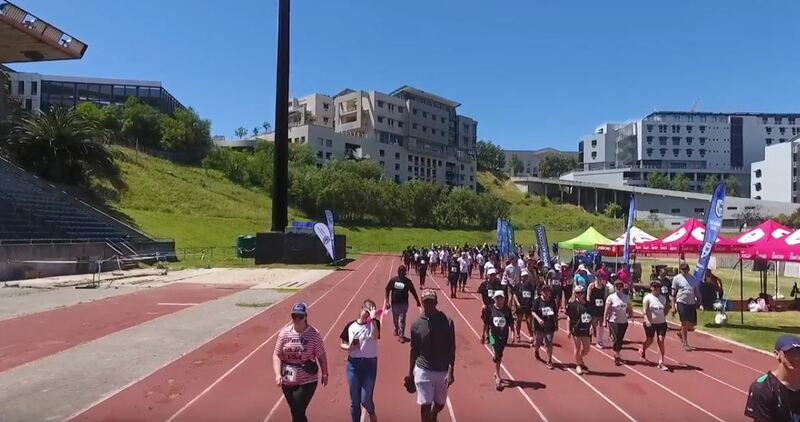 This year team Zailab once again participated in the tough African Centurion race-walking event. Bad weather couldn’t dampen the spirits of the race walkers participating in this year’s African Centurion event, which took place from 20-21 October 2018, despite the last-minute venue change due to storm conditions. This year’s event was held in aid of The Nelson Mandela Foundation and honored 100 years of Nelson Mandela. The first lap took place in absolute silence to mark the occasion. Zailab CEO Nour Addine Ayyoub and his team were amongst the participants who braved the 24-hour, 100-mile course. An avid race-walker himself, Nour Addine spearheaded the launch of the first ever African Centurion Walk on the historic Robben Island in 2016. This year’s event was marked by many heart-warming moments, with athletes giving their all to complete the grueling course. Everyone came together to support their peers, including the dramatic moment Fundiswa Sandi was supported across the finish line. In the end, it was Isle of Man athlete Andy Green who came out tops, completing the course in 20 hours, 57 minutes and 39 seconds. Zailab continues to be a proud sponsor of African Centurion. Read our blog about last year’s African Centurion event on Robben Island.